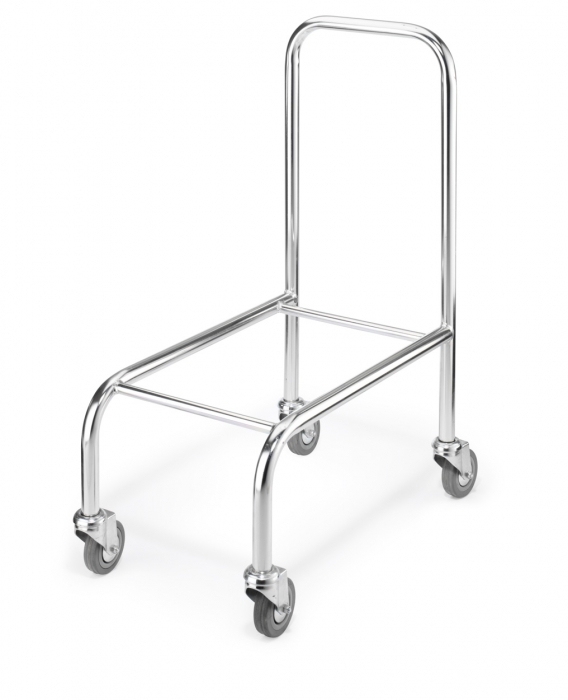 Mobile steel tube basket stacker frame with high back and wheels. 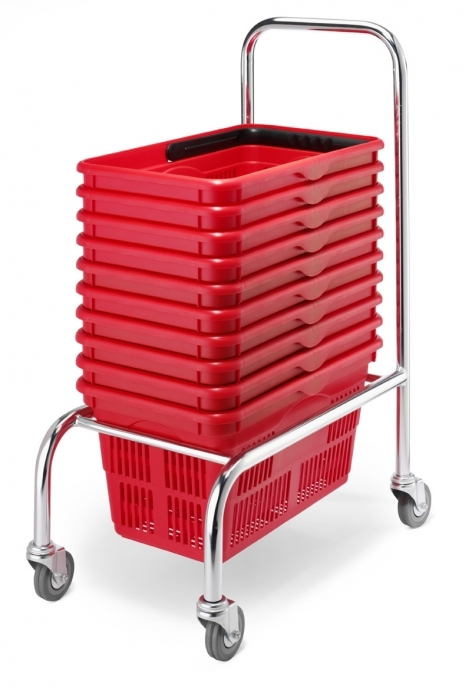 Suitable for our 19 and 23 litre wire baskets as well as our 24 litre plastic baskets. Dimensions: (W) 340mm x (H) 820mm x (D) 590mm. Capacity: 20 Baskets. 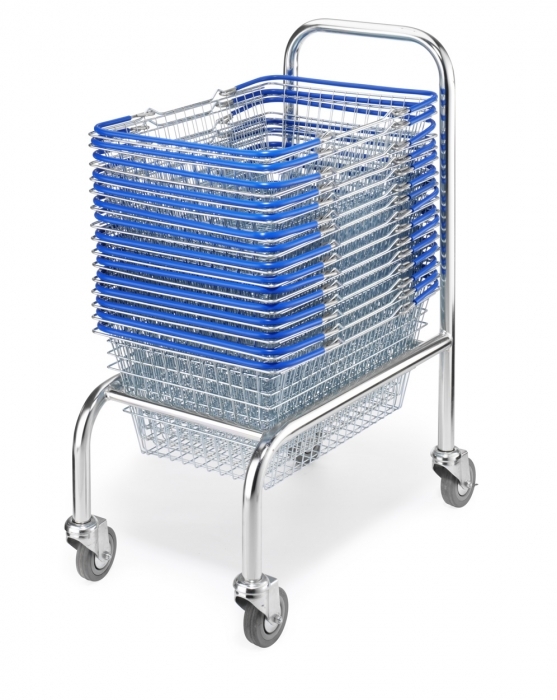 Space saving user friendly mobile basket stacker for easy re-positioning of your shopping baskets. Available in a chrome finish.